ORLANDO, Fla. – It didn’t take long for Hannah Plybon to showcase the kind of impact she could have at the highest level of college basketball. 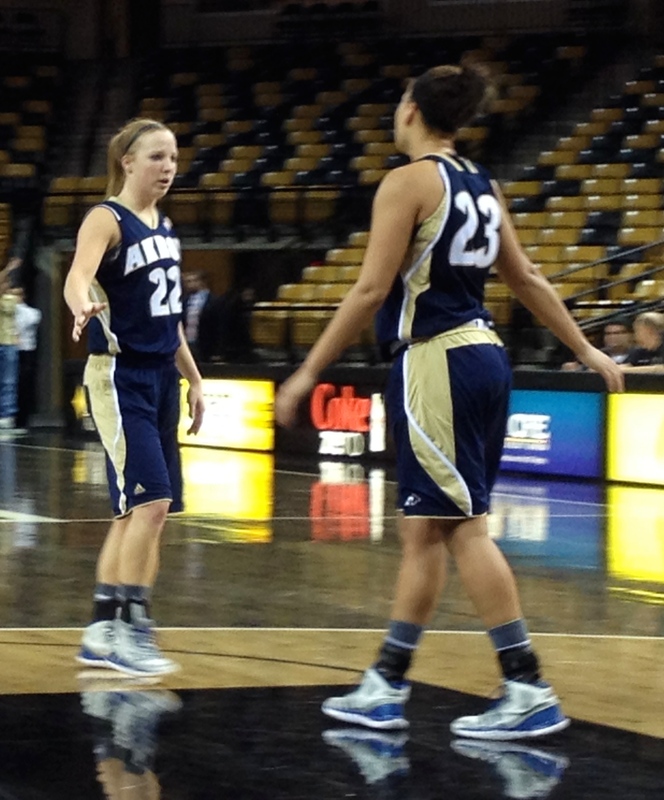 Hannah Plybon (left) earned as spot on the All-MAC Freshman Team a year ago. On the heels of successful runs in three different sports during her senior year at Orrville High School in Ohio, Plybon made an immediate impression on coaches and teammates upon her arrival at the University of Akron. Plybon worked her way into the starting lineup as a freshman before her rookie season ever got underway, on a team featuring six seniors that had returned from a 23-win campaign. Plybon has since blossomed into a leader at Akron, on a squad that opened the 2014-15 season by winning its first 10 games. She’s now less than a year removed from being named to the All-MAC Freshman Team after starting 32 of 33 games for the Lady Zips, who qualified for the NCAA Tournament and won the Mid-American Conference for the first time in school history. Not bad for someone hailing from small-town America, where the pride of being hometown to former college coach Bobby Knight and a jelly manufacturer is offset by two decades worth of factories closing shop and families relocating elsewhere.